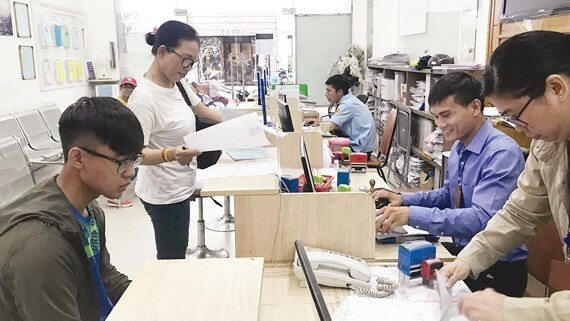 To facilitate city dwellers’ during dealing with public administrative work, Ho Chi Minh City is going to call for social participation in providing public services such as photocopying and verifying documents because offices of the public administrator are facing work overload. For instance, resident Huynh Thi Ngoc Diem in Thu Duc District ordered six copies of her residency certificate, ID for a document of selling the house. She said that she made many copies of document because she did not want to waste her time in case that administrators asked additional papers. To satisfy residents’ demand of copying papers, staffs of people’s committees in wards have no choice but work overtime. 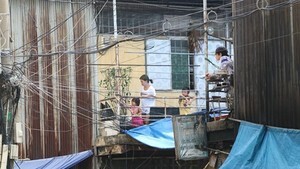 Being one of the most densely populated areas in the city, Linh Xuan Ward in Thu Duc District is one of the localities with great demand of coping. Since the beginning of the year, more than 13,150 documents with 48,200 copies. Similarly, Hiep BInh Chanh Ward in Thu Duc District with more than 100,000 population has handled around 6,100 documents with 42,800 copies since the beginning of the year. to make sure that all documents are solved within 30 - 60 minutes as per the administrative reform requirement, six staffs and one leader of Hiep Binh Chanh ward people’s committee are assigned to assume the work of signing these copied papers. At present, Hiep Binh Chanh People’s Committee employs 60 staffs and ten percent of them just assume copied documents. It will be a large number of staffs who assume for signing copied document in 322 people’s committees citywide; this is really a waste of personnel. One of leaders of Go Vap People’s Committee said vertifying of copied documents is causing work overload in the district people’s committees. Accordingly, social participation in verifying copied document will help reducing staffs in ward people’s committees. With regard to the matter, Ho Chi Minh City Party Chief Nguyen Thien Nhan said at in a lately organized meeting in District 1 that in reality, up to 97 percent of document in the district are verifying of copied documents. Subsequently, Chief Nhan said that reducing public administrative work overload ought to take account of social participation so that civil servants have more time on other work. Concurring with Mr. Nhan’s opinion, administrative expert Diep Van Son said offices of the public administrator provide public services including social and order security services, education, medical and travelling services as well as dispute settlement and legal services to residents and enterprises. The city is planning to cut staffs; therefore, shortage of public servant personnel is hard to meet growing demands while offices of the public administrator provide so much services; it is liable to do well. What should the government do is to build pricing index policy as well as supervision system. Transparent pricing policy will create healthy competition between public service suppliers to help city dwellers selecting the best quality office. At a working session with the HCMC Party Committee on March 28, Truong Thi Mai, Politburo Member, Secretary of the Party Central Committee, Head of the Central Commission for Mass Mobilization noticed city authorities to enhance social participation in public service providers.